Goat’s Milk contains alpha hydroxy acid and is used as an exfoliating agent, meaning that it removes the older, surface skin cells, revealing newer, fresher skin cells. Goat milk is rich in vitamins and minerals that are absorbed through the skin along with the fat and protein. 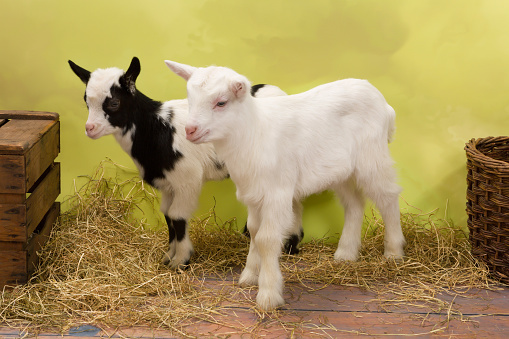 Particularly important to skin health is vitamin A, of which goat milk contains about 47% more than cow’s milk. It is a versatile ingredient that can be added to soaps, baths, lotions, washes, and balms. The possibilities are endless! This can be especially great in bath soaks, because when you let it sit on the skin you can absorb it’s full potential. Goat’s milk is a super food for dogs, however referring to raw food grade. It’s great for dogs not able to eat solid food. The milk is so high in good fats and nutrients that a dog can live on the milk alone.